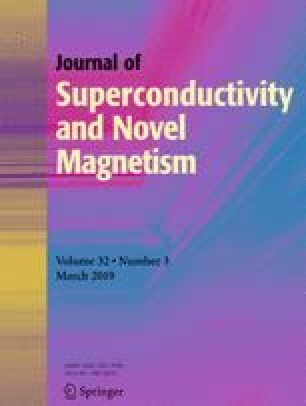 In this research, the structural, morphological, and magnetic properties of Bi-doped cobalt ferrite (CoFe2-xBixO4) nanoparticles with x = 0.0, 0.05, 1, 0.15, and 0.2, prepared by the sol-gel method, were studied. In order to characterize the samples, several equipment and analyses including thermo-gravimetric and differential thermal analysis (TGA/DTA), X-ray diffraction (XRD), field emission scanning electron microscope (FESEM), Fourier transform infrared spectrometer (FT-IR), and vibrating sample magnetometer (VSM) were used. The average crystallite sizes of the prepared CoFe2-xBixO4 were calculated using the Scherer, UDM, SSP, and Halder-Wagner methods. The average crystallite sizes for the samples were found in the range of 26 to 44 nm, which can be attributed to the grain growth of the particles. FT-IR spectrum showed bands in the range of 430 to 590 cm−1 due to the stretching vibration of an oxygen atom and metal ions (Fe-O), confirming the formation of spinel ferrite. Surface morphology of the samples was studied using FESEM. The VSM results showed that the saturation and remanence magnetizations increased by raising the doping values up to x = 0.1. The Curie temperature of the cobalt nanoferrites was determined using Faraday’s technique. The highest Curie temperature was found to be 580 °C for the undoped sample.